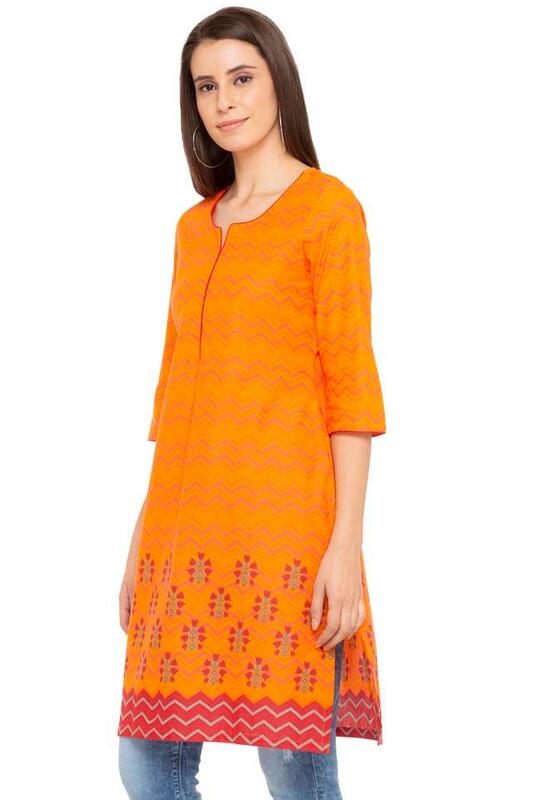 Elevate your fashion and glamour quotient with this A-line kurta from Rangriti. Fashioned using good quality fabric, this kurta will not fail to catch your fancy at a single glance. 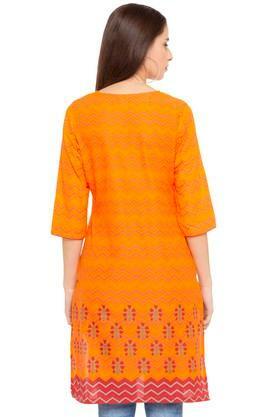 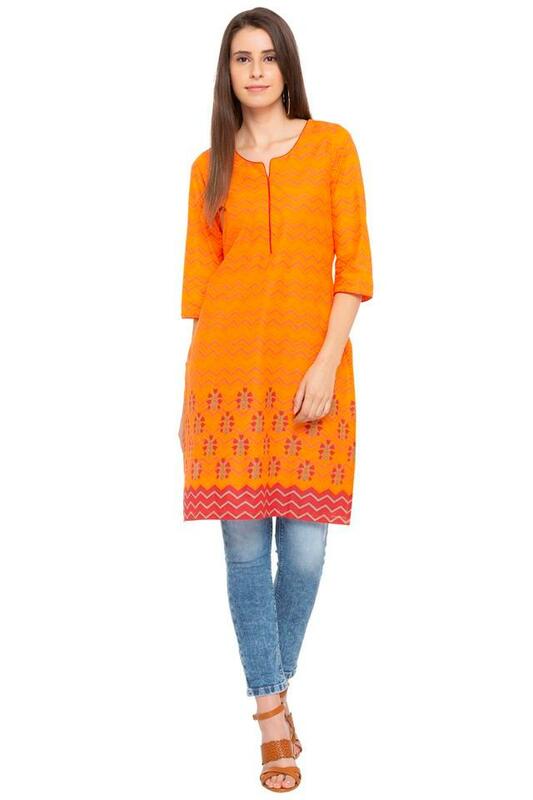 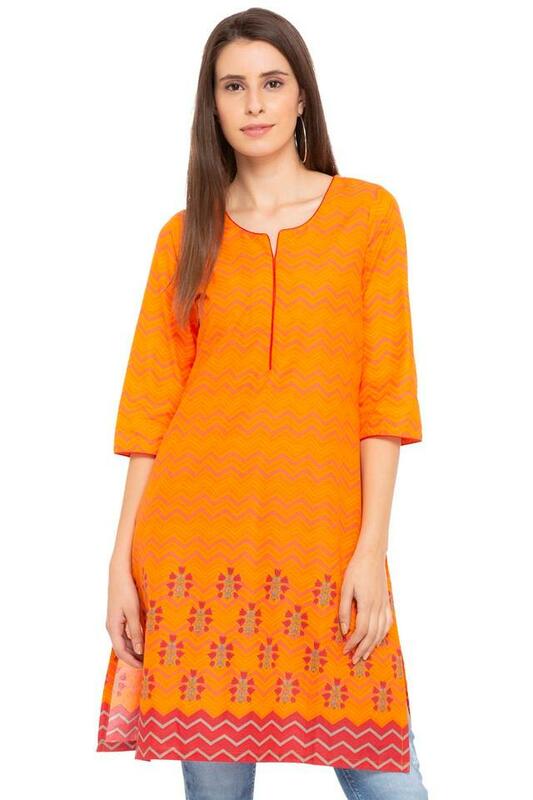 Featuring a notched collar, three quarter sleeves and printed pattern, this kurta holds a superlative enticement.